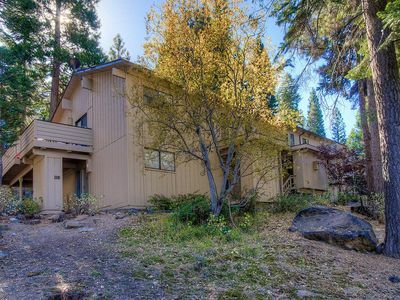 Discover the nature mecca of northern Lake Tahoe when you stay at this 3-bedroom, 2-bathroom, plus loft area Kings Beach vacation rental condo! 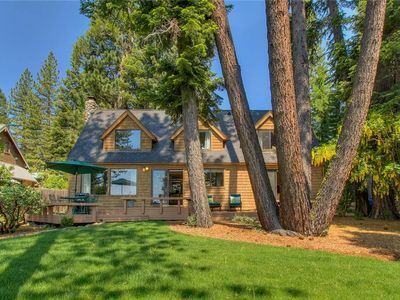 Surrounded by a profusion of pine trees, this 3-story home invites 10 guests to experience the solitude of the Sierra Nevada Mountains. 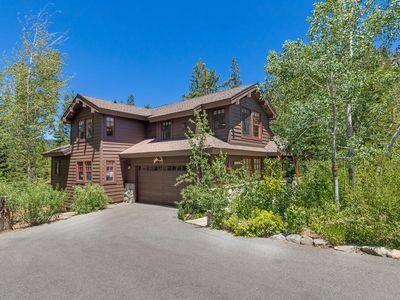 With a plethora of outdoor activities at your fingertips, such as skiing and hiking, and great community amenities, including a pool and tennis court, you're sure to enjoy every minute here! 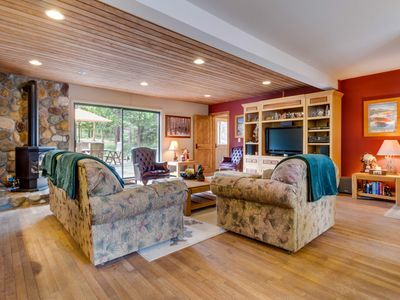 Enter the home through the open living space, where you'll find a totally modernized interior outfitted with wood paneling and lavish furnishings. 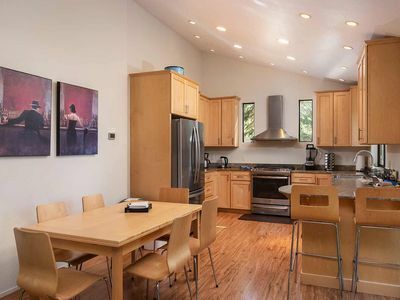 Get lunch started in the fully equipped kitchen, offering stainless steel appliances, beautiful granite countertops and a large eating counter with bar seating for 4. Whip up all your family's favorites and enjoy a meal with the whole group at the sleek dining table. 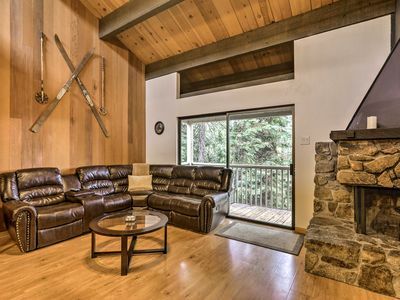 Relaxation abounds in the living area, housing a flat-screen cable TV, gas fireplace and a leather sectional sofa equipped with cupholders. 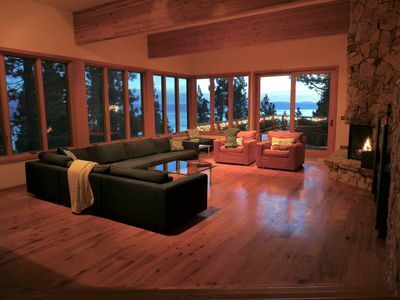 Watch your favorite HBO show on the TV after a day on the slopes or a hike around Lake Tahoe. To further unwind, make the short stroll over to the seasonal community pool for a leisurely swim - situated just steps from the front door! 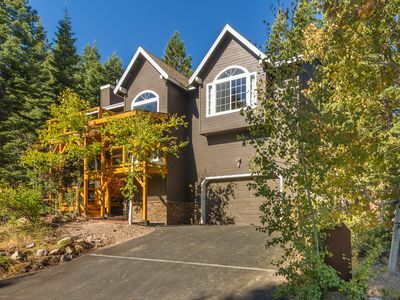 Spend an evening at home amidst the fresh forest air and utilize one of the 2 private decks overlooking the woods. 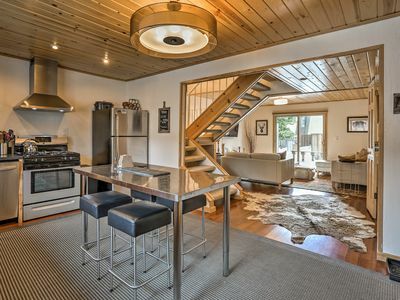 Enjoy the soothing sounds of nature and the flowing creek as you cook out on the gas grill. 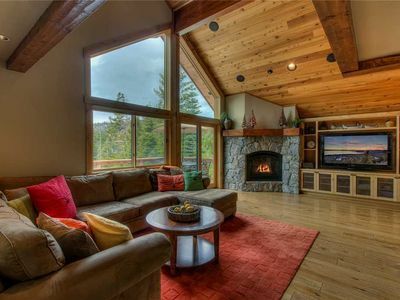 You'll have no trouble settling down for the night in one of the well-appointed bedrooms or up in the loft. 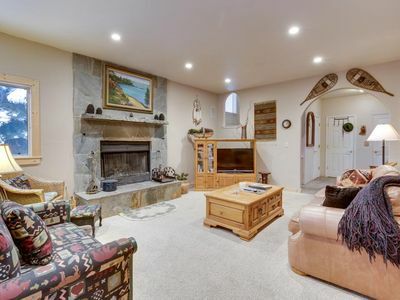 All 3 bedrooms and the loft have flat-screen cable TVs, so everyone can fall asleep watching a late-night movie! 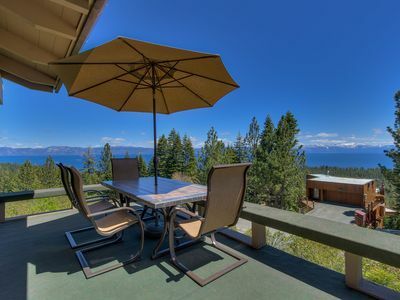 Kings Beach offers a plethora of opportunities for outdoor adventure year-round, including boating, golfing, hiking, biking, and skiing. 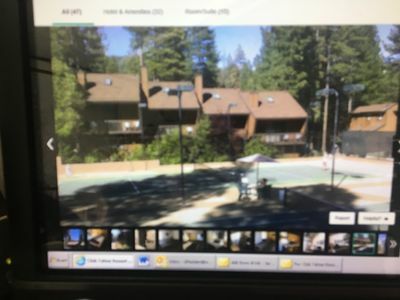 Ideally situated in north Kings Beach, the condo is just 5 minutes from Lake Tahoe and 11 minutes from the Northstar California Resort! 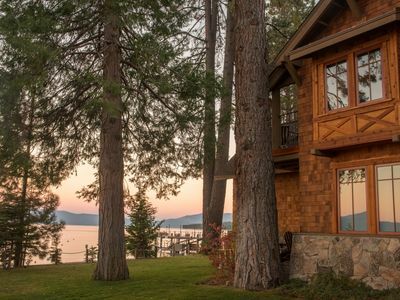 Summertime invites a plethora of lakefront activities, such as relaxing on the beach, paddle boarding along the shore and jetskiing on the open water! 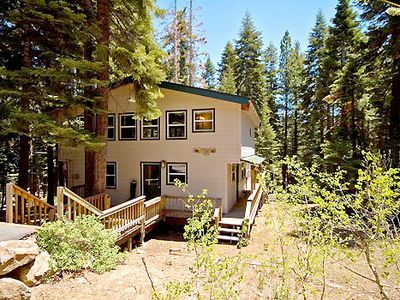 Hiking and biking enthusiasts will be enticed by the several trails nearby, which can be found near the Humboldt-Toiyabe National Forest. Fuel up after a day of exploring the area when you grab a bite at Jason's Beachside Grille or The Soule Domain. 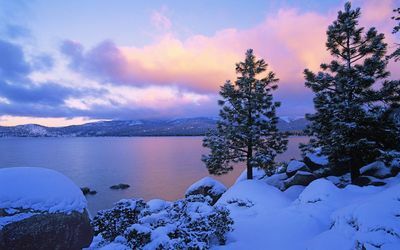 For a scenic drive, head 11.2 miles to Truckee where you'll find an array of tasty restaurants, museums, and even more nature areas! 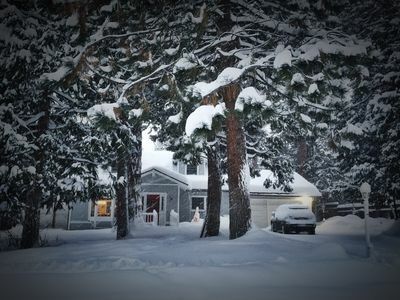 Perfect North Shore Home! 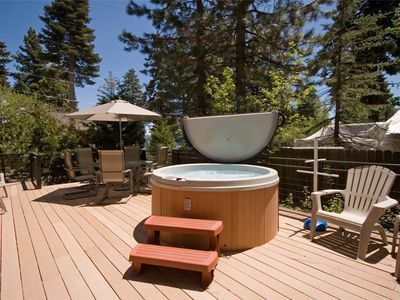 Views, Spa, WiFi, HD DIRECTV, Northstar, Dog-friendly! 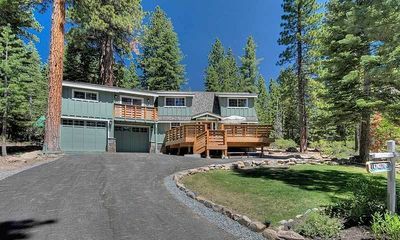 Spacious retreat, right across the street from Lake Tahoe! 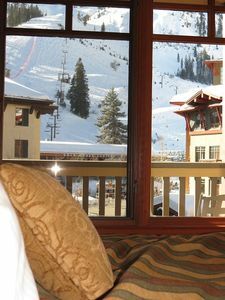 Trails End - Luxury 4 BR in Squaw Valley - Sleeps 10 and Hot Tub Too! 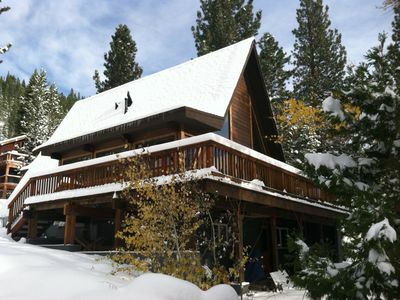 Best All Around Tahoe City Cabin For Rent!